The Arctic is part of us. It has been so for a long time now, and today more than ever. And it will be so forever. The Arctic is an essential part of the Canadian national identity. The Arctic is part of our history. It is also has great potential. Exercising sovereignty on the Canadian North, as well as on the rest of Canada, is a top foreign-policy priority for Canada.And today, I am proud to launch our government’s Arctic foreign-policy statement. This statement sets out Canada’s approach to the Arctic on the international stage. The importance of the Arctic and Canada’s interest in the North have never been greater.Through international leadership and stewardship, we will promote Canada’s vision for the North. That vision is of a stable region with clearly defined boundaries, dynamic economic growth and trade, vibrant Northern communities, and healthy and productive ecosystems.The Statement on Canada’s Arctic Foreign Policy provides the “international lens” of Canada’s Northern Strategy. From an international perspective, it gives life to the four pillars of our strategy: exercising sovereignty, promoting economic and social development, protecting our environmental heritage, and providing Northerners with more control over their economic and political destiny. This statement is about realizing the full potential of Canada’s Arctic. It is about fulfilling our duty to the people of the North and all Canadians today and for generations to come. Canada’s sovereignty is long-standing, well established and based on historic title, founded in part by the presence—since time immemorial—of the Inuit people and other Indigenous peoples, as well as by explorers like the great Capt. J.E. Bernier. And we exercise that sovereignty every day through good governance, responsible stewardship and concrete actions. The government’s job is to ensure this solid foundation is well understood around the globe and, if challenged, is defended. That is why we have significantly enhanced our presence in the North. That is why we are making new and targeted investments, be they patrol ships, a new polar-class icebreaker, reinforcements to our Canadian Rangers, better monitoring of our airspace and seas—and the list goes on. And that is why we are releasing this Arctic foreign-policy statement today. This statement provides a strengthened platform from which we will send our message to the rest of the world. A message of leadership and stewardship, firmly rooted in our commitment to sovereignty in the North. We will pursue targeted actions at the international level to advance our sovereignty agenda in concrete ways. Making progress on outstanding boundary issues will be a top priority. Our government will give a high priority to our work on securing recognition for the full extent of the extended continental shelf. We will be ready to meet the UN’s 2013 deadline for data submission. We will continue to discuss with our neighbours ongoing boundary disputes. We will continue to exercise our sovereignty through good governance in the North. 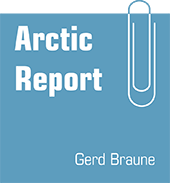 Canada does not accept the premise that the Arctic requires a fundamentally new governance structure or legal framework, as some have suggested. But we do accept the fact that the North is undergoing fundamental change. That is why Canada will, as a priority, work to reinforce the Arctic Council. Through this forum Canada and the seven other Arctic nations will set the agenda for cooperation on sustainable development in the Arctic. Canada is leading the way through our work with Arctic coastal states in identifying and preparing for the emerging issues we will face resulting from thousands of miles of more accessible coast lines. Public safety, for example, will have many new dimensions in a more open but very harsh climate. The Arctic coastal states meeting I hosted in March gave impetus to our work in these areas. We will remain at the forefront on these issues. Indeed, in early September, I will travel to Norway, Finland and Russia to meet with my counterparts in those countries to discuss Arctic matters. The second pillar of our Northern Strategy is promoting economic and social development. Creating a dynamic and sustainable Northern economy is essential to improving the well-being of Northerners and to unleashing the true potential of Canada’s North. Our international work will complement the action we are taking domestically. The third pillar of the Northern Strategy is protecting the Arctic environment. Canada has long been a leader in protecting the Arctic environment. We were the first country to pass legislation to protect Arctic waters. We recently finalized and put into force new regulations that require vessels to report when they are entering and operating within Canadian Arctic waters. We have a strong track record in establishing territorial and marine protected areas, and more are on the horizon. Canada is a leader in the development of integrated ecosystem-management plans for the Arctic waters. And we have made a strong commitment to Arctic science—the foundation for sound policy and decision making on the environment. Indeed, Canada was the single-largest contributor to the International Polar Year, taking partnerships in circumpolar research to new levels. Our international work on the environment will build on this solid foundation. The final pillar of our Northern Strategy is focused on empowering the people of the North—in essence, providing them with more control over their destiny. Territorial governments have recently issued a statement on their Northern vision. They have committed to supporting federal efforts in advancing our mutual interests in international forums. We welcome that support. Territorial governments and Indigenous peoples have played and will continue to play a key role in shaping Canadian foreign policy on Arctic issues.